Travelling to new places has always been something Mr F and I have always enjoyed. Since meeting each other 11 years ago, we have travelled to quite a few different places including America, Canada, Greece, Malaysia, Germany, Italy and Spain, amongst others. We love dining out and going to visit old ruins and exploring the cobbled streets of old towns but we also love pools and beaches too. Now with Little One, we know that the way we holiday will change, because how many toddlers are going to have the stamina to wander around cobbled streets, museums and churches in the heat? Not too hot for a toddler in September. One thing we don't feel we need is access to a kids club or crèche as it's not something we feel we would use at this stage. We actually stayed here last year and it was so fantastic, we have been considering going again this year. Obviously this holiday will always hold a special place in our hearts as it was his first time abroad, but it was made special for so many reasons. The hotel was perfect for us, and we were very fortunate to be upgraded to their best suite when we arrived, meaning we had 2 balconies, a kitchen, living room, bathroom and bedroom. The hotel was immaculately clean and provided half board accommodation, serving a buffet style breakfast with lots of choice and a buffet style evening meal. 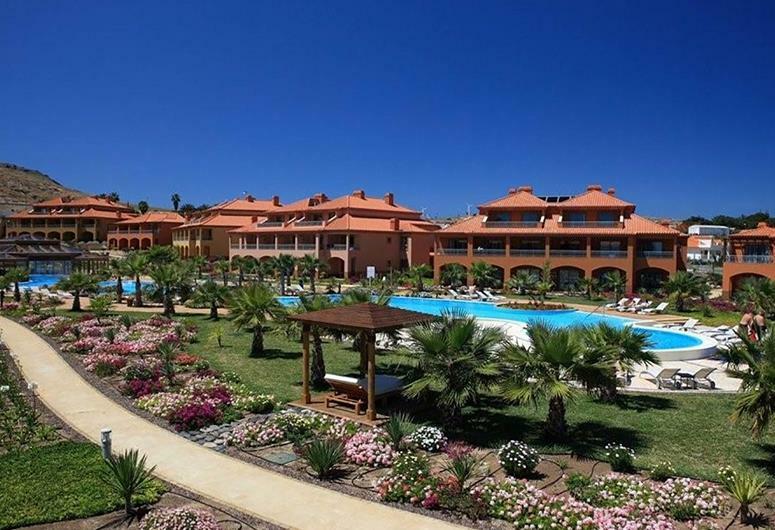 There were 2 pools, each with a baby pool attached and the location was brilliant- situated right next to a sandy beach in a bay and just a short walk from a gorgeous marina lined with little shops, restaurants and ice cream shops. The hotel did lack a play area suitable for babies and toddlers so LO's entertainment was the beach or the pool, which I'm not sure would keep him occupied this year. All inclusive resorts are something neither of us have experienced, and from advice we have been given, it sounds like it might just be the perfect option for us this year with a 2 year old. I came across this lovely hotel on a Telegraph article about best all inclusive hotels in Europe, and in all honesty, I'd never heard of Porto Santo, let alone knew where it was. It's a very small island next to Madeira and the weather looks ideal for when we are looking to go. (around 26 degrees in September). It's ideal as it's located right on the beach and has two lagoon style swimming pools plus a children's pool too. This is perfect for us as Little One loves swimming. The food sounds great here because as well as an all inclusive buffet style restaurant, there are also two a la carte restaurants too (Oriental and Italian). There is a kids club at the hotel for children aged 4 to 12 and a teens club for 13 to 17 year olds. 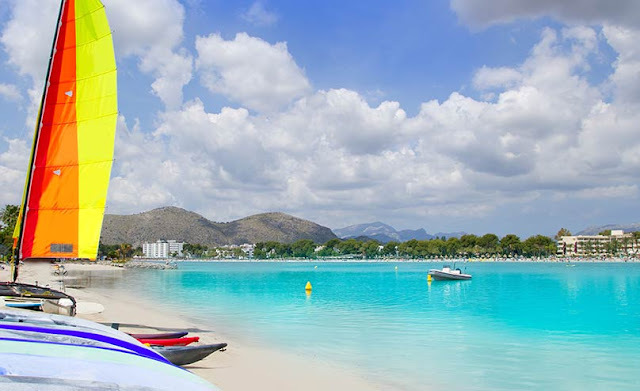 Thomson holidays offer holidays here and information on the different types of rooms can be found on their website. A nice bonus is the fact that theres a spa and wellness centre as well as sports activities and bike hire. This hotel initially caught our eye because we were specifically looking at hotels and resorts which were family friendly and had a children's swimming pool, and the children's pool here looks so much fun plus there's a fabulous kids play area too. It sounds like such a simple thing and it's easy to take for granted, but with an energetic toddler it can sometimes be difficult to find enough to keep them entertained while away, so having these facilities really helps. There is a baby club babysitting service for little ones aged 1 to 4, and also a mini club for children aged 2 to 12 years. Like I said earlier, we don't plan on using kids clubs at the moment, but it's useful to know they're on offer. The lagoon style pool here looks amazing and the resort is surrounded by natural parkland and is just off the beach. There are 3 restaurants (waiter and buffet style), 4 bars and a pool bar. The resort is located about 4km from the nearest resort town. This place looks seriously gorgeous. 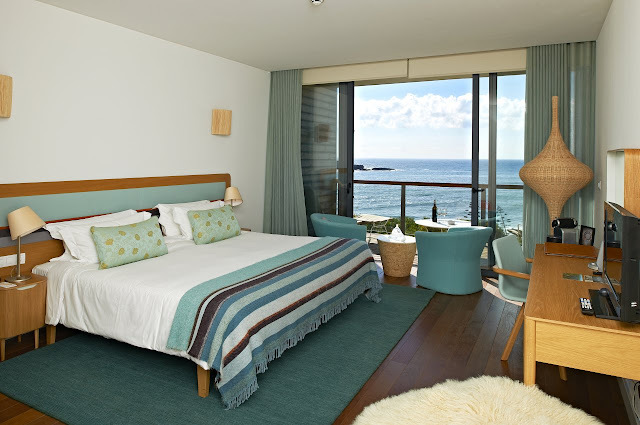 It's a 5 star hotel with an emphasis on being the location for a luxury family holiday. It's located near the historic town of Sagres and is 50 miles from Faro airport. And just because you've got kids, why does that mean it shouldn't be a luxurious holiday, right?! This resort is by the beach and offers half board or self catering accommodation, with a choice of staying in the hotel or in your own villa. Our holiday last year was half board and we found this worked well, and would try this option again. At present, we wouldn't do self catering as we like to have food cooked for us when we are on holiday! 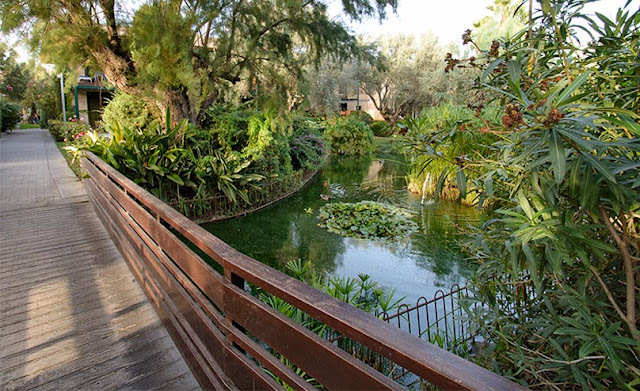 There are three restaurants at the hotel serving Portuguese cuisine, Seafood and Mediterranean cuisine with children's menus available too, which is a massive bonus. There are also special activity areas for children to play in in the restaurant areas, which I think is a great idea, especially if they get a bit restless at the table.There are also snack bars and a juice bar, which I really like the sound of on holiday. 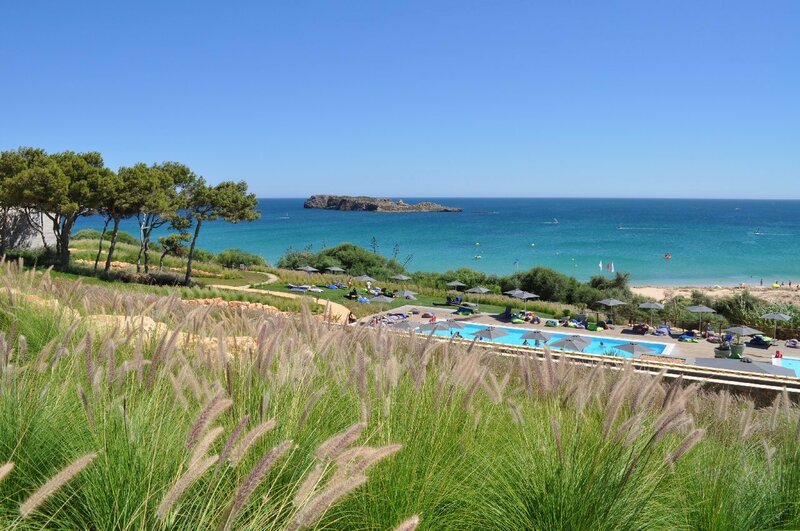 The kids clubs at Martinhal look seriously impressive too; there's a creche for babies 6 to 24 months, a kids club for 2 to 5 years and during school holidays, the Fox Club for 6 to 8 year olds. Each club has a programme of supervised indoor and outdoor activities tailored to each age group. There are 5 swimming pools at Martinhal including one for the younger ones. 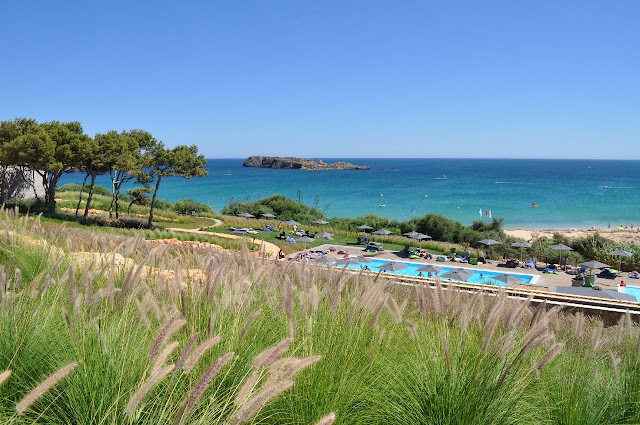 Alison at Not Another Mummy Blog has done a brilliant A-Z post all about her stay at Martinhal; it's well worth a read! 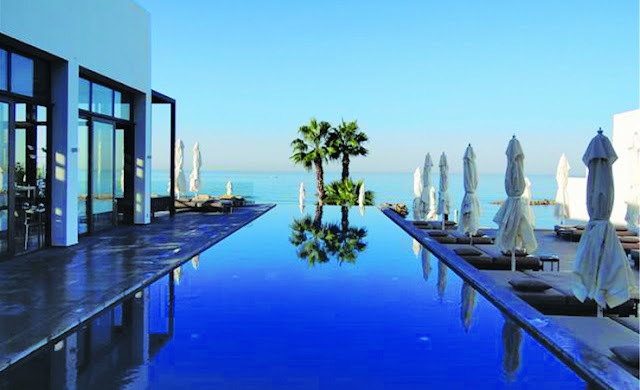 This is a 5* luxury and modern hotel located on the island of Cyprus. It has earned a great reputation for providing superb facilities for toddlers and children. Their special 'Baby Go Lightly' service sounds amazing, allowing parents to pre-book equipment such as highchairs, crayons, colouring books, prams, baby toiletries and baby baths, sterilisers (great for young babies who need bottles sterilising), books and children's DVDs. This means parents can really save on what they have to take in their luggage; they really have thought of everything and it's a fantastic idea. All the restaurants provide children's menus and the indoor playroom and outdoor adventure garden mean there is always something to keep toddlers entertained. The hotel also provide a range of clubs for children aged 4 months up to 17 years. The hotel has various pools and the children's pool even provides an awning over the top to protect babies from the sun. 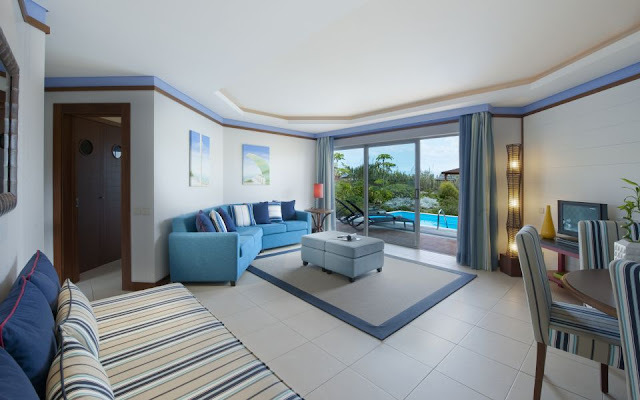 There are various options on rooms but inter-connecting rooms are available too, another great option if you're travelling with children. One downside is that the hotel is located on a pebbly beach, not a sandy one, so not the most practical for little toddler feet. B & B, half and full board accommodation options available.